How should one describe the U.S.-Israeli relationship? “Co-conspirators”? “Co-dependents”? “Frenemies”? “The corporate media in the United States and other western nations ignore, minimize or tell outright lies about the ongoing massacre” of Palestinians, but surely the Israeli media would do the same for the U.S. How about “Co-enablers in War Crimes”? Of all the partners in international crime in existence right now, the United States and Israel are the worst. Along with their less powerful cohorts like Saudi Arabia they have instigated occupations and carnage on a mass scale. Yet while one hand washes the other, it isn’t always clear who controls whom. Israel uses the political and economic muscle of its supporters to keep American politicians in line, but it also doesn’t have to work very hard to find a receptive ear in Washington. After killing American citizen Anwar al-Awlaki in 2011, the Obama administration refused to disclose the legal rationale for the assassination. Fortunately, Freedom of Information Act lawsuits brought by the New York Times and the American Civil Liberties Union revealed that Israel’s war crimes were used as pretexts for American wrong doing. A Department of Justice memorandum written by David Barron, now an Obama-appointed federal judge, legitimizes extra judicial killings on the grounds that Israel does the same thing. A 2006 Israeli Supreme Court decision ruled that targeted assassination of hundreds of Palestinians were legal and did not violate international law. Actions by foreign governments are rarely used to justify American policy decisions. On any other subject Obama claims that the United States is exceptional and must be not just a leader in the world, but THE leader in the world. Apparently, claims of exceptionality end when it comes to explaining away state sponsored terror. Israel becomes the convenient excuse for American criminality but it also acts like this country’s worst enemy. Israel has been caught spying on the United States numerous times. It killed 34 sailors when it attacked the USS Liberty in 1967, murdered United States citizens Rachel Corrie and Furkan Dolgan and uses the threat of electoral defeat to keep American politicians in line. 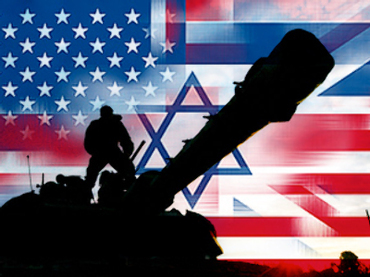 None of these outrages ever damage Israel’s ability to get its way in Washington. Even local and state legislators around the country are loath to stray from the Zionist party line. Yet Israel is also the tool for American imperialism. Its purported need for security is used as an excuse to destroy the Iranian economy with sanctions, or anything else which also serves U.S. imperial interests. The two countries are true “frenemies,” dependent upon one another while also engaging in high level dysfunction. Right now Israel is getting its way in Gaza as it kills men, women and children with impunity. The story is the same. Israelis in Sderot sit on a hilltop and watch bombs fall on homes, schools and hospitals that have now killed at least 185 people. Only one Israeli was killed by the Hamas rockets which Americans are told are a threat to Israel’s existence. The corporate media in the United States and other western nations ignore, minimize or tell outright lies about the ongoing massacre. In the most egregious example, ABC news used video showing destruction in Gaza and claimed the footage came from Israel. While it is true that the photos and videos of maimed and dead children are hardly top secret in the age of the internet, one must be extremely committed to finding information on the scale of the slaughter and of Israel’s policy of targeted assassinations of entire families. Certainly the networks and the major newspapers could make this same information available but they dare not oppose the political order. Barack Obama and his other partners in world gangsterism such as the prime ministers of Canada, the United Kingdom and other NATO countries blurt out the same lying rhetoric. Like robots they report the same mantra that only Israel, the country with almost no casualties, has a right to defend itself. The Palestinians only have the right to be killed. Americans are like the wronged lover who is the last to know. Thanks in large measure to media and government propaganda they have no idea who is the aggressor and who is the injured party. Millions of people all over the world are outraged and hate not just our president and congress, but all of us as individuals. The Israeli and American governments have put a bull’s eye on all of our backs and citizens of this country are largely ignorant of the risk to us all. War crimes prosecutions are never meant for the powerful countries and their friends. If that were so, Barack Obama and Benjamin Netanyahu and Tony Blair and King Abdullah and George W. Bush and Paul Kagame would all be in the dock. They are definitely criminals but they are the top ranked criminals or their henchmen. They never pay the price but people in Gaza still do.